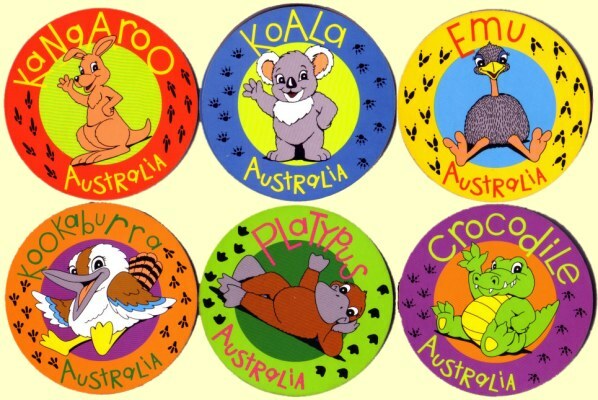 A set of six colorful coasters featuring Australian animals and their foot prints. 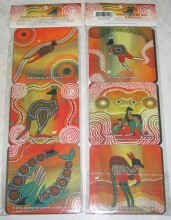 A set of six Aboriginal Art round coasters on cork base. 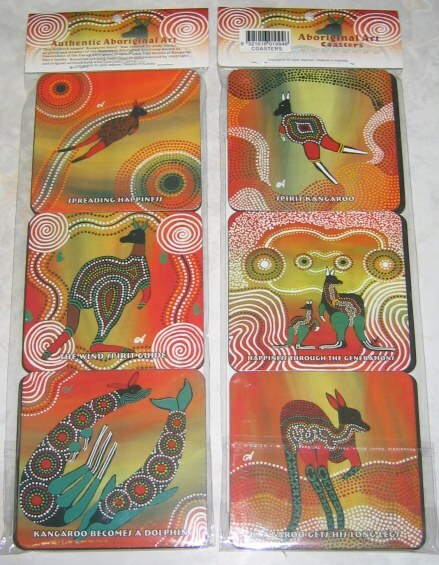 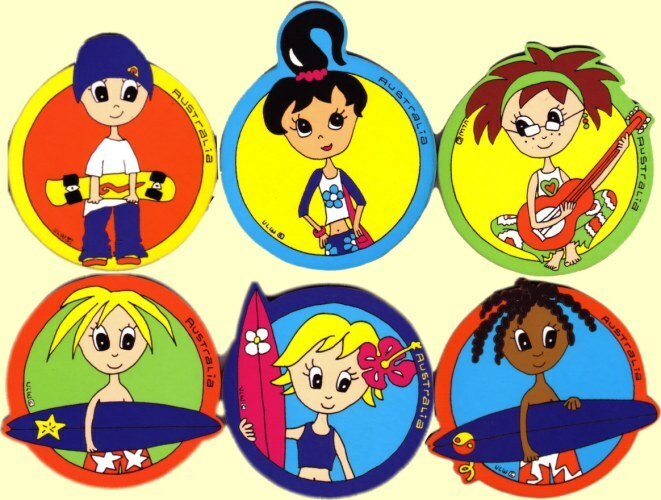 A set of six coasters with vinyl printed top and neoprene backing. 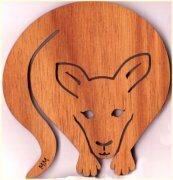 The Kangaroo Story artwork was created by Andy Dutka. 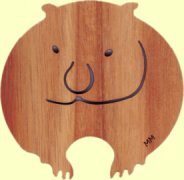 The story is enclosed. 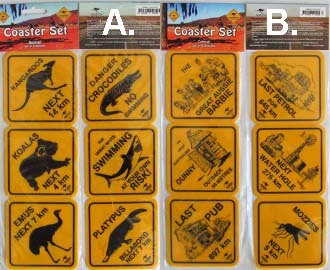 A set of six plastic road sign coasters. 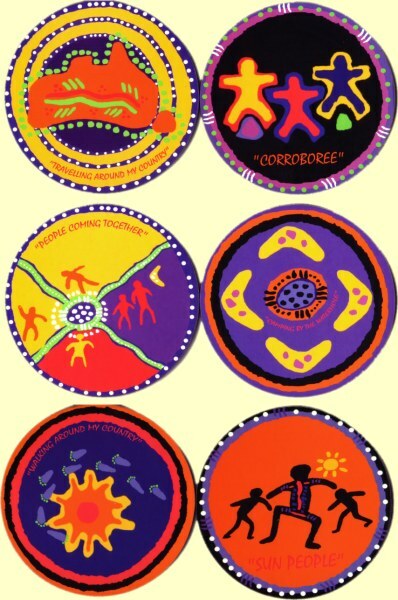 Please, make your selection below. 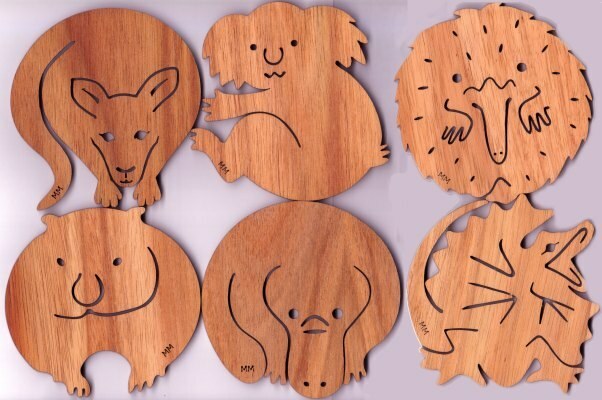 Beautifully designed set of six coasters cut from highest quality Australian timber. 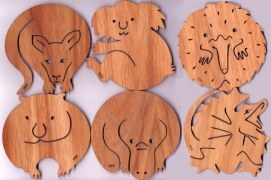 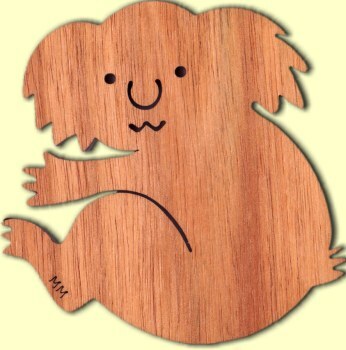 Originally designed set of six wombat coasters cut from highest quality Australian timber. 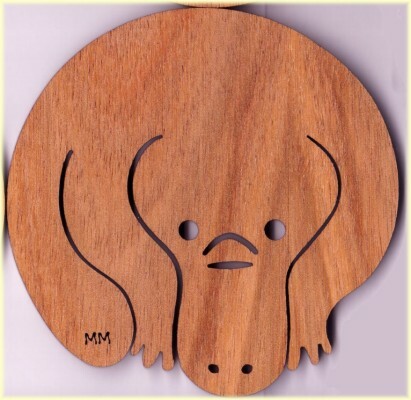 Platypus set of six coasters. Lazer cut from highest quality Australian timber.